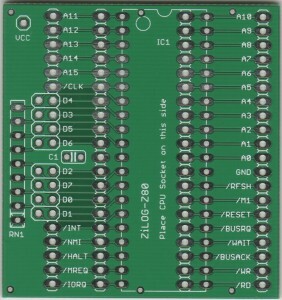 This board is designed to assist with troubleshooting of Z80 based systems by enabling easy measurement of all CPU signals. 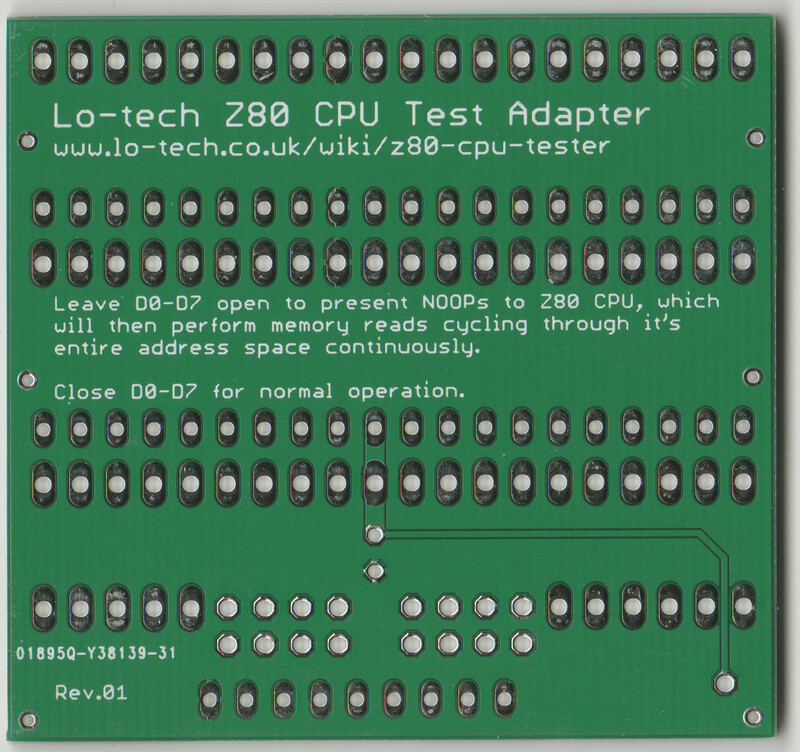 The Lo-tech Z80 CPU Test Adapter is a simple board designed to assist with troubleshooting of Z80 based systems by enabling easy measurement of all CPU signals, and the option to present known wave-forms on all of the address bus CPU outputs. See wiki page for more information. HASL (lead free) finish. 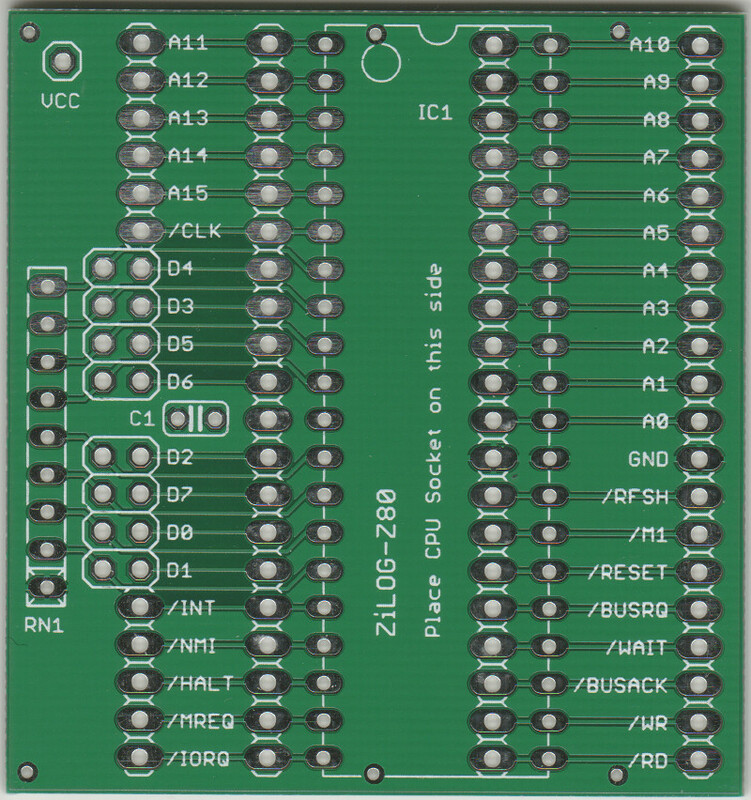 PCB only.